Installing NodeJS on a Raspberry Pi can be a bit tricky. Over the years, the ARM based processor has gone through several versions (ARMv6, ARMv7, and ARMv8), in which there are different flavors of NodeJS to each of these architectures. 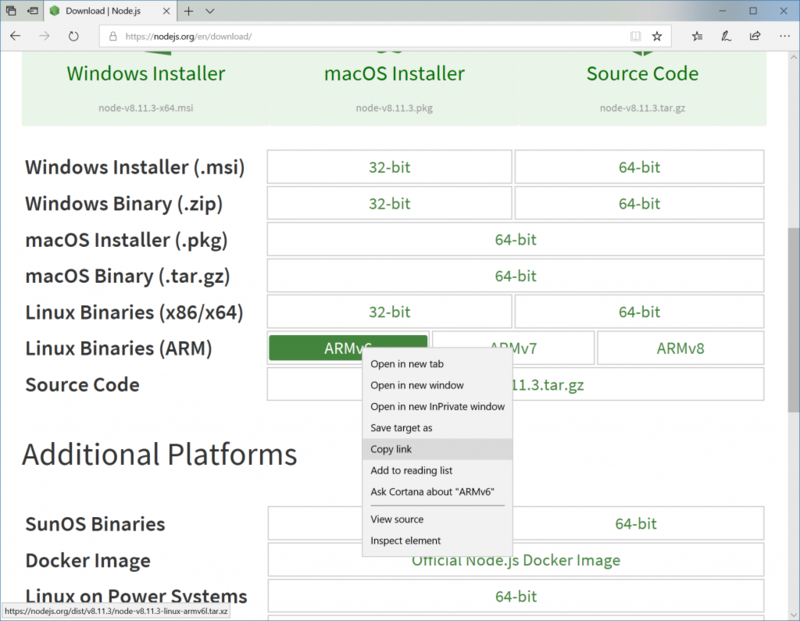 Depending on the version you have, you will need to manually install NodeJS vs grabbing the packages via a traditional apt-get install nodejs. This entry was posted in Linux and tagged install, nodejs, npm, raspberry pi on June 14, 2018 by Jack.